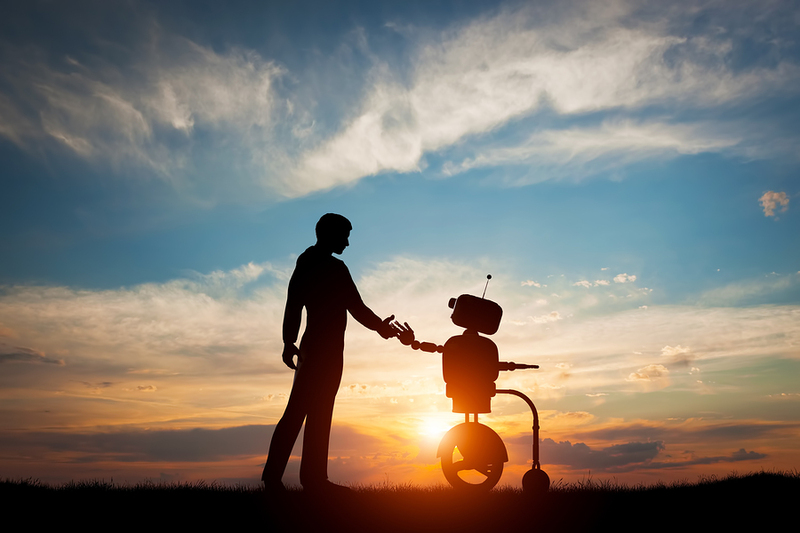 If you follow the robotics community on the twittersphere, you’ll have noticed that Rodney Brooks is publishing a series of essays on the future of robotics and AI which has been gathering wide attention. 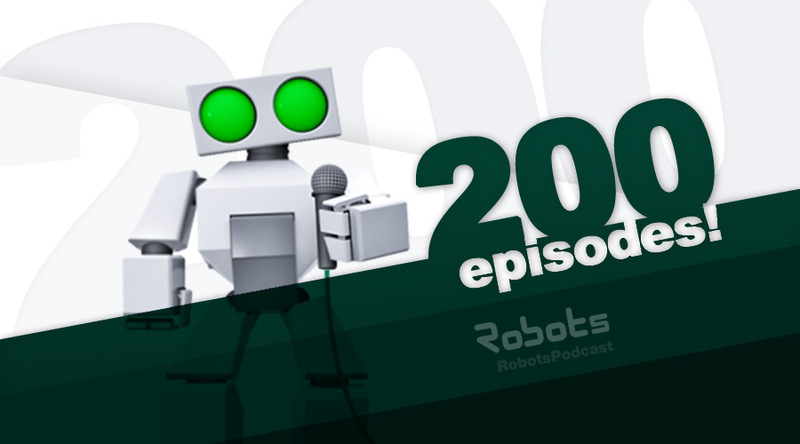 In this episode, we celebrate our 200th episode! That’s over 6000 minutes of robot goodness and nearly 8 years releasing interviews with your favorite roboticists. The podcast is all volunteer run, a special thanks to everyone on the team who’s made this possible! And thanks to all of you for listening in all these years. To celebrate, our president Audrow Nash has invited a team of old-timers from the podcast team, and one of our favorite recurring guests, Rodney Brooks from Rethink Robotics. 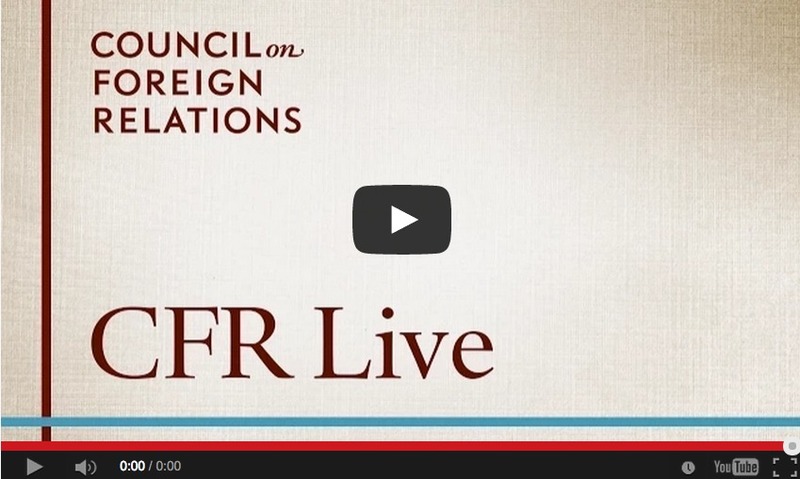 Livestream of the Council of Foreign Relations’ Malcolm and Carolyn Wiener Annual Lecture on Science and Technology starting 02/27/2015 at 12:45 EST. UPDATED Jan 8: In an unannounced funding discovered by Boston Globe reporter Scott Kirsner, Rethink Robotics sold equity and received $26.6 million a few days before Christmas . On Singles Day, a made-up holiday for the Chinese singles and youth market, Ecovacs sold $24.8 million worth of robotic products, mostly their robotic vacuum cleaners. Both Dyson and Samsung have upgraded the vacuuming function of their robotic cleaners to be equivalent to non-robotic cleaners. Consequently, they have endorsed what iRobot invented many years ago: a convenient robotic method of cleaning carpets and floors. But their endorsement comes at the expense of competition that is sure to happen in the years to come. 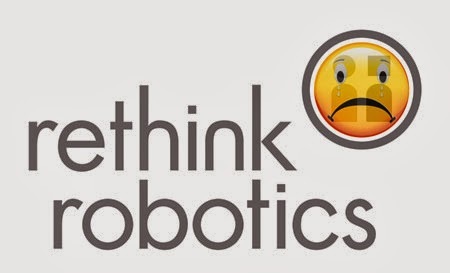 A sad day at Rethink Robotics. 21 jobs have been cut in Rethink’s first layoff. 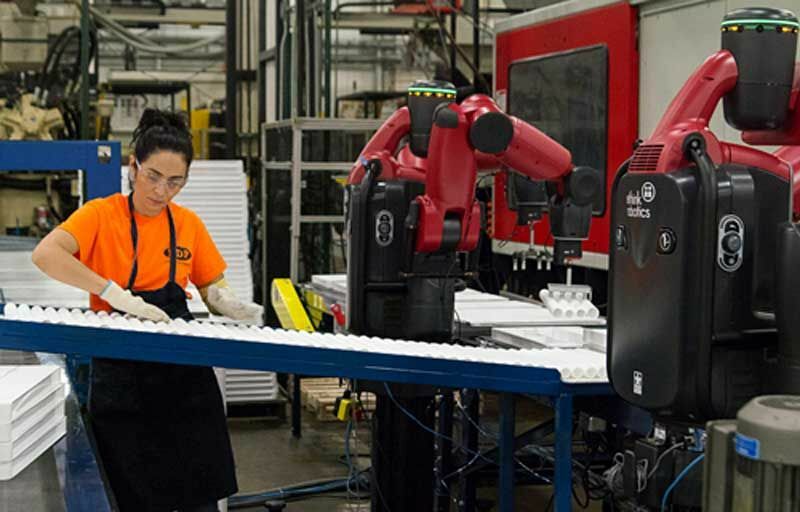 Although Rethink Robotics is downsizing, their action is not indicative of the robotics industry, which is booming and hiring. The Boston Globe reported that Rethink Robotics, maker of the $22,000 Baxter 2-armed robot, has cut 21 jobs from their staff of approximately 90. 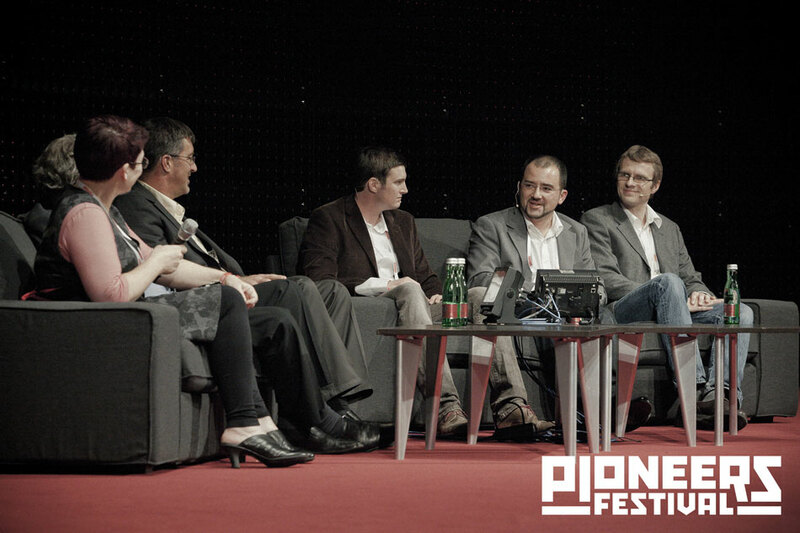 Robolution panel at the Pioneers Festival in Vienna. 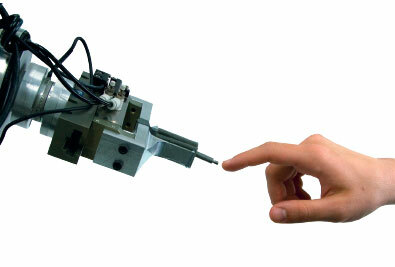 It’s not every day you get to ask pioneering robot startup founders about their journey. The Robolution panel at the Pioneers Festival in Vienna comprised Rodney Brooks from Rethink Robotics and previously iRobot, Steve Cousins from Savioke and previously Willow Garage, Noland Katter from Anybots, and Walter Wohlkinger and Michael Zillich of Blue Danube Robotics, a new startup from Vienna University. Between them the panelists have started or spunoff well over 15 robotics companies, started the first robotics venture fund and been hugely influential in shaping the current rapidly emerging robot startup space. ‘Fast, cheap and out of control’ was Brooks’s 1987 insight into robot exploration of the solar system, but is very apt today, as drivers like open source software, affordable COTS and crowdfunding expand possibilities. This is the first in a four-part interview series about collaboration between academia and industry, conducted by a group of scientists from the ECHORD project at Technische Universität München. Well-known and established experts in the field of robotics were asked: How can one connect industry and academia effectively? What obstacles are there and what makes collaborations effective? The first expert is Rodney Brooks, who was interviewed by myself in Eskilstuna during the Robotics Innovation Challenge 2012. Brooks is professor emeritus at MIT and a successful robotics entrepreneur who just recently launched Rethink Robotics’ Baxter. Henrik Christensen, the KUKA Chair of Robotics at GA Tech and Chairman of the Roadmap project, Rodney Brooks, CEO of Rethink Robotics, Pete Wurman, CTO of Kiva Systems, and Russ Angold, CTO of Ekso Bionics all presented the new Roadmap to a packed gallery of the Robotics Caucus of the US Congress. 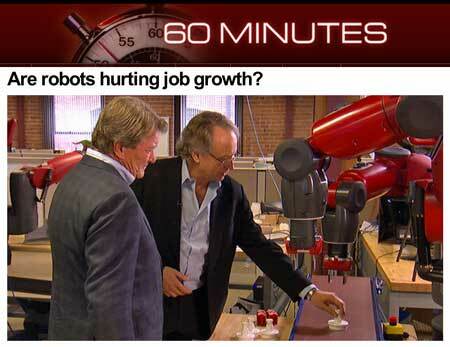 CBS News Reporter Steve Kroft interviews Rodney Brooks at ReThink Robotics. Click on the image to see the segment. Speaking at CMU Robotics Institute as part of their RI Seminar Series, Rodney Brooks, Founder, Chairman, and CTO of Rethink Robotics (originally Heartland Robotics), talked about their new Baxter robot, what drove its design, and the circumstances surrounding the formation of the company. His talk is followed by about fifteen minutes of Q&A. In today’s episode we speak with Rodney Brooks at the offices of Rethink Robotics about their first product Baxter, his ambition to revolutionize manufacturing and latest tips for young entrepreneurs.